I only have one top silver shade for 2012. I'm not one for metallics or overly glitter silvers that aren't holos. In the end, this shade shouldn't come as a surprise to you all. What silver could be more suited to Princess Polish than one named after the Queen of England? 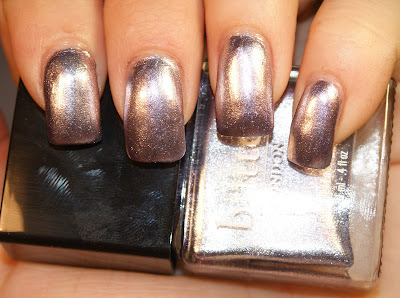 Lillibet's Jubilee from butter LONDON was released to commemorate Queen Elizabeth II's fifty years on the throne. And this silver metallic with lavender undertones was simply smashing. Class, but unique... very fitting for Liz II indeed!